There was an item on the regional news this afternoon that immediately caught my interest. The tall reeds in the vacant lots along the road leading to Nuvali in Sta. Rosa, Laguna had caught fire and thick smoke was billowing across the road. The local fire department was called to put out the fire; but since there were only two firemen who responded, they had difficulty putting out the blaze. The focus of the report was not so much the danger posed by the fire to motorists but rather on the destruction not only of many birds that nested in the area but also their habitat. However, I know all about the danger that these seemingly innocuous grass fires can pose to motorists as well from first-hand experience. 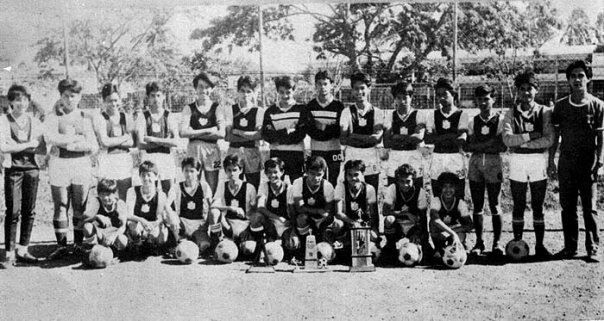 It was late February or early March of the year 1985 and I was with my high school team in what was then known as the Southern Tagalog Regional Athletic Association or the STRAA. The event was being hosted by the City of Marikina but the Lipa City delegation was billeted in a public school compound in the neighbouring City of Cainta. 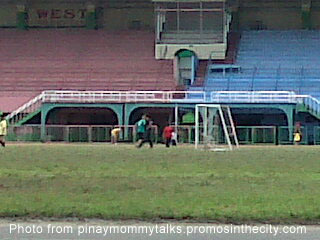 Some of our matches were scheduled at the Ateneo college football field; but there were those that were also scheduled at the Marikina Sports Complex. Finally, after what seemed like an eternity, the bus we were in broke out of the smoke and into the afternoon sunlight. It was like breaking out of hell! There was this one afternoon when we were in a bus driving to the sports complex for a match. In those days, the trip took no longer than thirty minutes. We were going along uneventfully when traffic suddenly slowed down. We saw that there was a grass fire ahead. Vehicles were slowing down as drivers tried to decide whether to drive through the thick smoke billowing across the road or to simply pull over to the side and wait for the fire to die down. There were those who were cautious and preferred to pull over to the side of the road. There were also those who were bold and drove right into the thick wall of smoke. Our bus driver was obviously of two minds. At ground level, it was impossible to determine how much of the stretch of road was covered by smoke. The prudent thing would have been to pull over, particularly as the passengers were mostly students. We were not the only team in the bus; and the other teams’ coaches as well as the delegation officials on board worried about arriving late at the venue. When we were almost at the edge of the smoke and the vehicle in front of us threw caution into the winds and drove into the smoke, our driver stepped on the gas as well. The drive through the smoke could not have been longer than thirty seconds; but those were the most claustrophobic and tension-filled thirty seconds of my life up to that point. Not to mention the longest thirty seconds! Because visibility was almost zero, our driver had to go really slow. There was the dual danger of a vehicle ahead either stopping or going even slower than we were; or another vehicle from the opposite direction veering away from its lane. Although everyone had been instructed to pull up the windows, the smoke seeped inside the bus, nonetheless. We had to cover our nostrils and this made breathing difficult. Sure enough, while we were in the middle of the thick smoke, there was the unmistakable sound of metal crunching against metal and glass breaking. Thankfully, the crash happened on the opposite lane; and nobody in the bus even saw who or what was involved because it was impossible to see. The wonder of it all was that we were still in the right lane. Everyone looked around nervously as the tension ebbed away and soon the players were pulling down the windows to let the air back into the bus. We all laughed about the incident later but nobody among the adult leaders could have failed to grasp the severity of the situation. 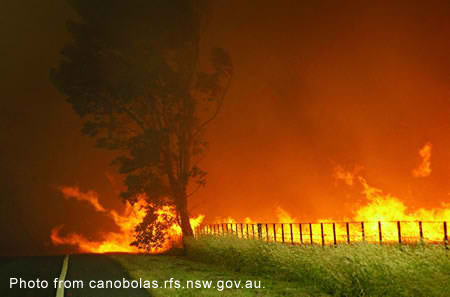 The driver himself summed it all up by vowing never to drive through the smoke of a grass fire again. We all made it safely to our matches; but we could just as easily not have been so lucky.